I could have actually worked on my “to-do” list today. It is long. It is growing. It would have been the responsible thing to do. I used 9 – 3 inch squares from the charms and sewed them together. Then sewed the patchwork piece and the solid piece together. Iron fusible fleece on the wrong side. Top stitch the patchwork squares. 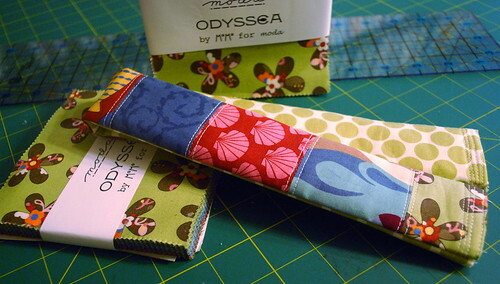 Fold over the ends and stitch in place. Trim the excess so the seam is not bulky. Slide it onto your strap and you’re done! I have an extra one laying right here. It measures about 2 inches by 20 inches. Would you like it? Just leave me a comment. I’ll draw a name in the next couple of days. PS. 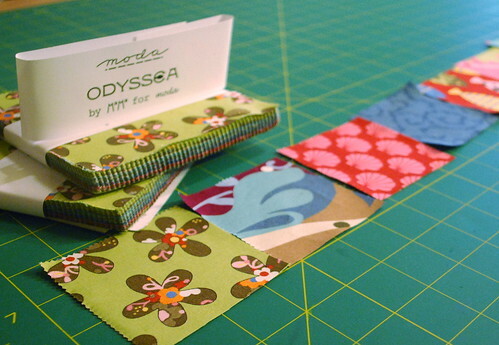 The FABULOUS fabric is Momo’s new line for Moda. It is called Odyssea and I am so in love with it. The pre-cuts are here now. The yardage will be here sometime this month! Wow you are amazing, I wonder how many other ideas are just swimming around in your head for the next time you are in a “mood”! if only my moods always made me do something creative. 😉 Usually I just eat or something stupid like that! Thanks for commenting. 🙂 I was thinking this would be a fun gift too! May need to make a few more to put into the ol’ gift box! What a great idea! Have been meaning to make something like this for my camera — didn’t even think of this 😛 Fab giveaway!! I’m laughing! 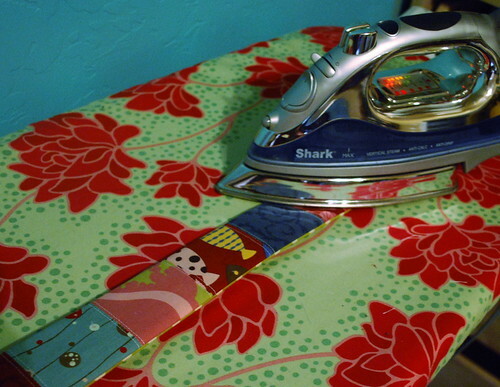 I got confused with one of your photos until I figured out that the 2 outside strips I was seeing was actually your ironing board!I may like it almost better than the camera strap! It’s a beauty! ha ha! yes, that is my ironing board cover! I LOVE it, thanks! 🙂 Used Heather Bailey fabric to make it (SO much prettier than the ugly roosters it came with). Thinking I’ll need to re-cover my little table top board and do a tutorial for that too. Super easy! I would love the chance to win won. I’ve been looking at these forever. Could camera manus make uglier ones? For real! So ugly – you think with as much as the camera cost they could at least make a pretty strap. he he Good luck! Love it! I’ve had a camera strap cover on my to-do list for a friend who just started a photography business, so thanks for the tute! Oh, beautiful! I’m adding you on flickr, and hoping to be picked for the drawing! Thank you! Your photography is amazing!!!! I added you too. 🙂 Good luck! one and the info to make our own. Thanks. They would be great little gifts! And they go together quickly! Of course you may win this one and then you’d only need to whip up one. 🙂 Good luck! thanks! I love your pocket idea!!!! And I like that you did yours so it will go over the leather part. I wish I had made mine just a little bit longer! Don’t I love a good giveaway! Just picture my husband’s face when I tell him we need a new camera because I won this awesome camera strap! your logic makes complete sense to me! 🙂 I might just have to send one to you regardless, just so I can hear a funny story. Thanks for sharing this, especially with all the detailed instructions. Can’t wait to try it myself. Thanks! If you don’t win this one, then making one will be easy for you! I decided I should have made mine a little bit longer. next time….next time! Thanks! They go together quickly! 🙂 As I said before, I’ll make my next one a bit longer. Funny that you have an extra one just “lying around.” I want to give my mom one before she goes on an amazing trip in a couple weeks (yes, I’m jealous). Okay, so the truth is that I had originally planned to make BOTH side patchwork. But then I thought “It’ll drive me mad if my seams don’t line up.” So I decided to do the back of the strap as one solid piece of fabric, but now I had this whole patchwork piece just waiting to be used. So then I thought “well, heck. I may as well make another and give it away.” Where is your mom going? My mom is headed to Denmark and Norway a week from today. She and my aunt have been planning for a year and she is completely beside herself with excitement and anticipation. I made a strap for my camera as a test-run, but it ended up smaller than I planned. It fits, just … smaller. Anyway – I’m going to try another one a little bigger. Thanks. What an awesome trip! I would be excited too. Did your second strap turn out better? I’d love to see pictures if you have any! So cute! Love that you pieced it! Thanks 🙂 I was thinking of just using one fabric – but I really couldn’t decide. So I thought, heck – I’ll use a whole bunch. Then I was gonna do both sides pieced, but figured that it would make me mad if my seams didn’t line up. 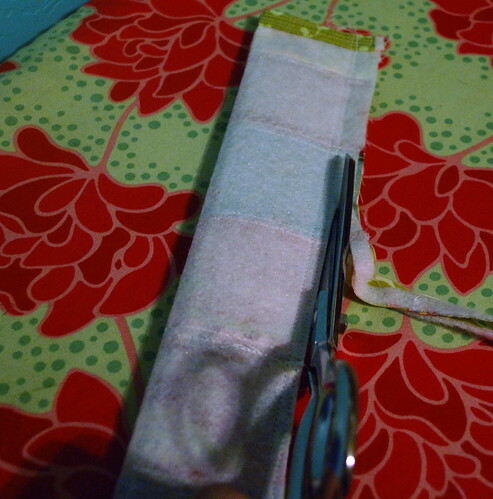 Of course, i could have just used the 5 inch squares and folded it so the strap would only have one seam. Oh well! Great tute – this is going on my Christmas gift-giving list! Umm… YEAH, I would love it!!! Thanks for the great tutorial! Oh yes, I’d like the extra. Love all Momo fabric. I would love to win this. Thanks for the tutorial, too. These would be great Christmas gifts. You’re right about the fabric…just got a charm pack myself! I love MoMo’s Wonderland, too…Great designer, wonderful colors! 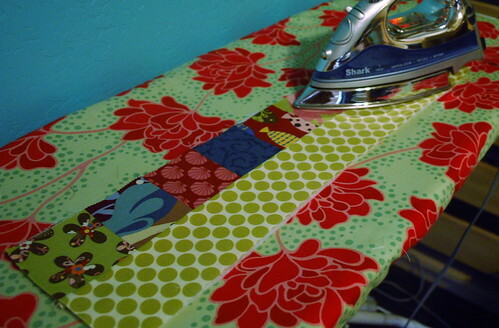 PS Love your fabric choices, so pretty. I would love to use this. so adorable. great work. Your choice of colors is great!! Your tutorial comes right on time… The seatbelts in my husband’s truck are a pain in the neck and I wanted to cover them up. I think I will ad more padding for better confort. You’re an inspiration! This is exactly what I needed to see today, since I promised my sister a camera strap cover for Christmas…. of last year. Oops! Maybe this will kick me into gear- unless I win it, and then, yay! I’m off the hook! The camera strap cover is great! Thank you for sharing the tutorial!! I would love to have a cover for my camera strap! Thanks for the tutorial! Just what I’ve been looking for! Thank you! Be sure to measure your strap to get the right length. And I’d recommend going a little bit longer than the first one I made. Great! what type of cloth / material is? a very great idea . this strap will make each camera unique. Been looking online at camera strap tutorials for awhile and never found exactly what I wanted. So I took the plunge today and bought the fabric. Most of the tutorials I have found is just using fabric but I knew I wanted something more padded. I barely sew and the lady at the fabric store helped me pick out some quilted fabric to use as a lining and then pretty fabric for the cover. 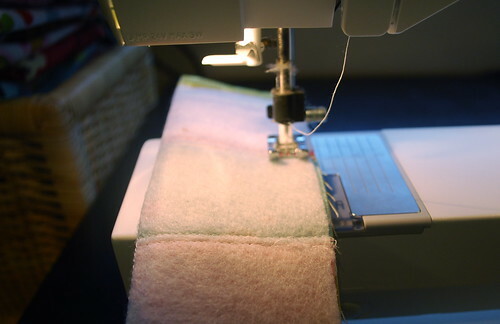 Wish I had read this first; I’ve never heard of fusible fleece before and that would be such a better option! I will try to work with what I have first but always intended to make several covers anyway. LOVE the pieced look. So, inquiring minds need to know… does it slide around on the strap, or doe a good job of staying in place? Mine does not slide around at all. 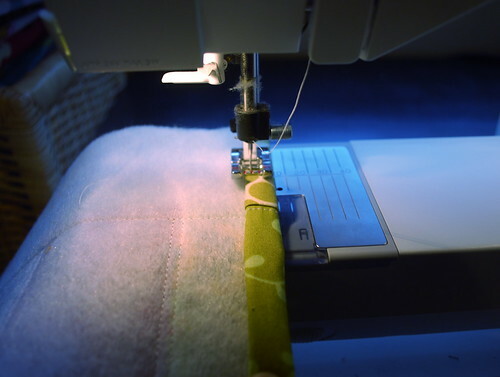 I think because of the fusible fleece. Why? Have you heard others complain about camera strap covers sliding around? I love this!! I might need to make one this afternoon. . . Thanks for the tutorial! Just made one and love it! likely to earn higher ranking in the major search engines. market. A dedicated SEO expert will devote all the attention and effort in enhancing the visibility of your website or business in the online world. and their techniques might even have bad effects on the business’s website. This helps auto dealership websites rank higher in the search engines results and get more traffic to the website. organic search, frequency of blog posts, frequency of on-page optimization, the relative importance of links, the use of social media, the best way to measure results, etc. If your website deals with certain products or services, then conduct a proper research on these and then form your SEO content. Advertise by Selling Branded Products. Immediately the word free caught my eye. And, as more and more companies move larger portions of their advertising budgets to internet marketing, there is an even greater demand for their skills. G) SEO basics -Image 6: Open Google. The World Wide Web is an incredible source of customers and potential revenue for all types of businesses and companies in all niches. A person can find all sorts of products available at various prices on the internet. They are looking up the the keywords you did research on to find what they are looking for. ============ More at: Comment “Smartly” & Increase Page Views: Writing Essentials 8.
something to add to the discussion. Usually it’s triggered by the sincerness displayed in the article I read. 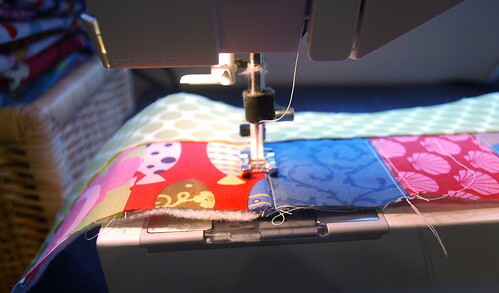 And on this post Patchwork Camera Strap Cover – a Tutorial | Fabric Family and Fun. I was excited enough to post a thought 🙂 I actually do have a few questions for you if it’s okay. if you are posting on other online sites, I would like to follow you. For most recent news you have to pay a quick visit web and on world-wide-web I found this website as a finest web page for newest updates. us down new paths. I am really curious to try this path together with you and see exactly where it goes to. yeah, thanx for spending some time to discuss this issue here on your site. site link on your page at suitable place and other person will also do same in support of you. This piece of writing is in fact a good one it helps new internet users, who are wishing in favor of blogging. in no time with the help of gems.